Xie He 7P (l) advanced to the RICOH Cup finals after defeating Gu Lingyi 5P (r) by resignation in the semifinal on Tuesday. 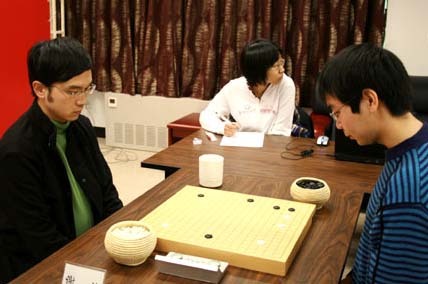 Xie will face Kong Jie – who won the title in 2005 — in the title match. This will be Kong Jie’s first RICOH Cup title match.